Why does my business need a Customer Success team? A really happy, satisfied user will gladly spread the word about how much your product has improved their life and business, and that’s exactly what we’d like to see happen here. Our company has been growing at an incredible rate since its inception in 2012. We couldn’t be more thrilled that we’re now serving over 30,000 customers worldwide! However, in order to continue serving our customers with the same responsive service, our team back home needs to grow at the same pace. One of the first goals we set for this growth was to start building a Customer Success team, starting with our new director Jeremy Wingate. Jeremy has been working diligently on building out his department, while developing a plan for what Customer Success should look like for our company. In this week’s Ask an Expert, we sat down with Jeremy to learn a little more about his objectives in this role. Jeremy, how would you describe your role as the Director of Customer Success? What are your primary objectives? I was brought on board to help build and lead the Customer Success Department, which includes both our Onboarding Managers, and our Customer Success Managers. I envision our department functioning as another layer of the great service we’re already providing here at CallTrackingMetrics. In establishing a team of Customer Success Managers, we’ll be providing our customers with a main point of contact for general outreach, escalations, and commercial discussions. Basically, the Customer Success Manager will act as an all-in-one advocate for their customers. It may sound a little over the top, but I want to get to the point where our clients feel that their dedicated Customer Success Manager is actually an employee of their own organization, who just happens to work at CallTrackingMetrics. 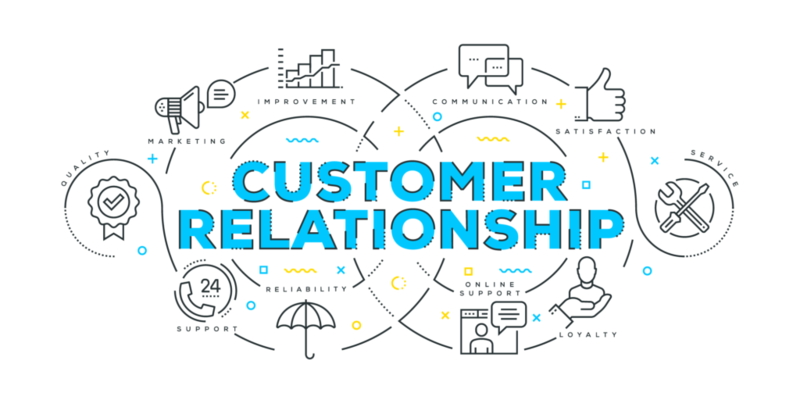 As the Director of Customer Success, my primary goal is to ensure our customers are able to maximize the return of our partnership while having the best experience possible. Many of our customers are unfamiliar with the process of onboarding within a new platform. How do you approach introducing the concept of onboarding to new users? Well, we have to keep in mind that every client who comes to our business is unique – they learn in different ways, they’ve had a variety of life experiences, and they may be using our platform for any number of diverse objectives. This in mind, onboarding needs to start with a basic understanding of the client. Of course, we need to know why they signed up, and what issues they’re trying to solve with our software. However, to be successful, we need to capture a wider picture of the client as person, and then as a part of their business. What’s their background? What are their priorities? What challenges are they facing? What are their goals? Then, we can determine the best way to be of assistance to both them and their business. The more we know about our customers, the easier it is to prioritize our onboarding efforts. After capturing a good understanding of the client, we’ll plan out the first thirty days of their experience in our platform. First, we need to define clear expectations for what they should be able to accomplish, and we can then a set few goals based on those expectations. We offer in-depth training sessions here at CallTrackingMetrics, so a big part of the initial onboarding process will involve scheduling a few of those with the client. Overall, we want our customers to have a clear understanding of what they can accomplish with CallTrackingMetrics, and then we can build confidence in their ability to achieve those objectives. The more time and effort that both the client and the company can invest in the onboarding process, the more successful their partnership will be for the long term. In general, most of our journey will be learning ways to best support our customers and helping them to achieve specific outcomes. And, the outcome for each one needs will be a little different, since every client has a different set of priorities and goals. Maybe they’re trying to increase revenue, maybe they’re concerned about their market share, or maybe they’re losing employees and need to streamline workflow. Once we can wrap our heads around what our client’s goals are, we can measure how well we’ve helped accomplish them. On a more concrete level, there are metrics that companies can use to determine how well their customers are doing with the product. This includes measuring “churn”. Churn basically refers to how many customers terminate their service within a given period. If that number is high, it means that although you might be doing a great job selling, you’re not actually performing well enough to retain those customers. If our churn rate is low, that means our customers are sticking around for the long term, which means they’re probably happy with our service! Another metric we can measure is called “NPS” – Net Promoter Score. A company’s NPS will range from -100 to 100, and it indicates how likely their customers are to recommend their service to others. A customer who we’d consider to be a “promoter” would rate us a 9 or 10 out of ten. Meanwhile, a “passive” customer might rate us a 7 or 8, and a “detractor” would rate us somewhere between 0 and 6. The Net Promoter Score is calculated by subtracting the percentage of customers who are Detractors from the percentage of customers who are Promoters. In the end we want our NPS to be as high as possible and make sure we increase it over time! This metric is considered by some to be a better indicator of customer loyalty than churn, and it’s believed to be closely tied to actual revenue growth. How do you collaborate with sales and marketing teams to further customer success? Good question. I’ve actually been working through a three-step process of weaving the Customer Success department into the existing customer journey with our Sales and Marketing departments. First, I try to ensure a smooth transition of any responsibilities that we’re taking on as a department. Then, I set expectations for what we plan to accomplish and succeed in. Lastly, we’re going to not only meet, but exceed those expectations. Our process right now, like most businesses, is that Marketing spreads awareness of our product, and brings interested, potential customers to our Sales team. Then, Sales will ideally sign up that interested person, and make them a customer. Now, this is the point where a lot of companies stop paying attention, and move on to capture additional new clients. This is a huge mistake if you want to retain the customers that you worked so hard to bring on. You have to invest time and resources in making those clients more successful and keep them happy over the long term. Here at CallTrackingMetrics, the Customer Success department, which includes the Onboarding team, takes over after Sales completes their cycle with new customers. They ensure the new customers understand our software, feel confident using it, and succeed in achieving their goals.